fa SampleDelay is a simple, but powerful effect Plugin for small phase alignment tasks in guitar, drum or vocal recordings. Its main purpose is to solve time differences occurring in multi microphone setups and furthermore reduce horrible sounding comb filter effects (often called phase issues). 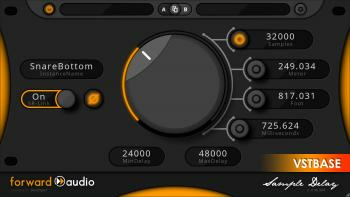 Nevertheless, you can also apply interesting haas delay effects, compensate plugin latencies introduced by other Plugins or intentionally create comb filter effects to create colorful filter textures.